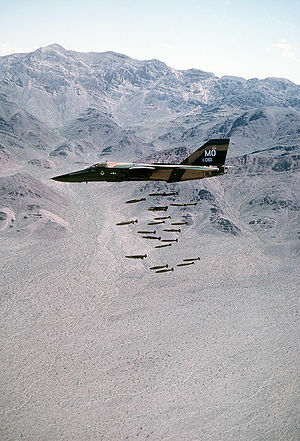 I’m a former Air Force cartographer and intelligence analyst who helped F-111 pilots put the “X” on the right target. More recently, I was a geospatial analyst with the largest aerospace company in the world. I’m also a private pilot and mystery-reader. Now I’m on a mission that combines my aviation background, love of mysteries, and analytical thinking with forty years experience as a rank-and-file Christian to help people aim for new, life-driven targets. I’m a member of the Northern Virginia Christian Writers Fellowship and live with my husband in the Washington, D.C. metro area. We have three grown children and a grandson who sometimes allow me to disturb the peace with my piano-playing. In the Christian genre, my all-time favorite book is The Divine Conspiracy by Dallas Willard. Other than the bible, this book has had the most impact on my life. In the mystery genre, my favorite author is Sue Grafton. I wish I could tell a tale the way she does! A quick check of the Association of Religion Data Archives (ARDA) reveals that between 1990 and 2008, the number of Americans who call themselves Protestant decreased by nine percent. Institutionalized religion, overall, is declining, which indicates a growing spiritual dissatisfaction and drop-out problem among Protestants and Catholics. If even as few as five percent of this country’s 66 million Protestants were unhappy with their faith, that represents 3.3 million adult Christians whose spiritual needs aren’t being met. Because many people (especially pastors) are reluctant to openly admit dissatisfaction, the number is probably higher. And this is just in the U.S. Something needs to change! Experts and Scholars and Rules, Oh, My! I write to explore and question church doctrines that have been the mainstay for hundreds of years. Just because they’ve been around a long time doesn’t make them truth. And just because experts and scholars claim, “Thus saith the Lord!” doesn’t mean the Lord actually saith it. I believe that it’s every person’s privilege (and responsibility) to find out for him/herself. That’s what walking with the Lord is about! Guidance from others is certainly part of that, but not the whole of it. It’s my hope that you’ll find interesting food for thought and that you’ll be blessed through renewing of the mind. If you’re here for the first time, you might like to start with the Articles page. Right now, I only have two, but I plan to add as I go. I try to post twice a week, Mondays and Thursdays, scheduled about 11 a.m. -ish. Those who prefer to have posts delivered to their inboxes can subscribe via email (you won’t get spammed!). You can also subscribe via RSS. Chrissy sent me. I’d love to read your book. Sounds great! Will it be out for e-readers? That’s my choice of reading media these days. Thanks for dropping by! I’m hoping to hear from the potential publisher soon. They asked to see my book proposal and are reviewing it as we speak. Yes, it will be available in e-reader format even if I have to publish it myself. If I go the traditional route with this publisher, it will take longer, but will also be available in hardcover and paperback. If I publish it myself, it will be sooner, but a TON of work that I’m not an expert with. I’m trusting God to lead the way, however it goes! In the meantime, feel free to visit here often. God bless. I will, and thanks for your reply. Don’t worry. He will lead you. 🙂 One of my favorite books of late was “Heaven Is For Real”, by Todd Burpo. Very inspirational and moving! I’d like to check that book out. Sounds up my alley! There are others I plan to read as well since I’ve been more or less in a bubble for a few years working on my own project. Thanks for the recommendation!